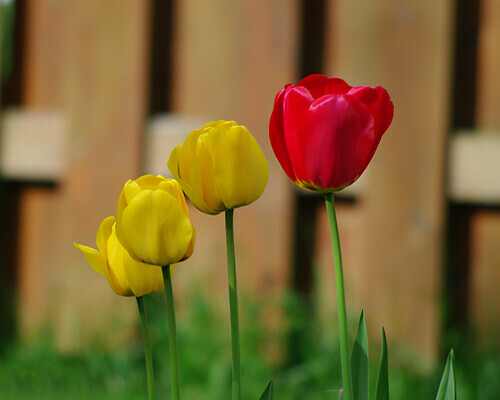 Spring gifts us with tulips in every color of the rainbow, particularly late blooming varieties like these. Then the rains come, and so do exuberant winds blowing through the garden and setting everything in motion. In only a day or so, petals of the ornamental crabapple trees in the garden anoint the sweet greening earth like confetti, and the tulips are forests of waving stems unadorned by petals and stamens. 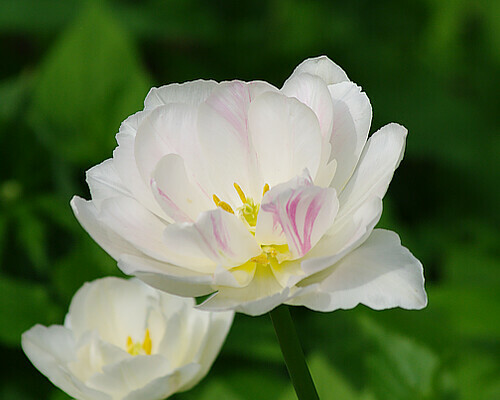 I adore tulips in the fullness of their blooming, and the camera loves them too, but they are loveliest as they are coming apart and drifting in the wind like little silken boats. Coming to rest, the fallen blooms form masses of glossy petals, scarlet and gold, pink and creamy white, and once in a year or three, there are vibrant purples, as rich and inky dark as a summer night. Mozart devotee and lifelong tulip lover that I am, I planted the dark purple tulips called "Queen of the Night" again last autumn, but nary a one came up this time around. Perhaps the midnight Queens taste like wine - their sleeping bulbs are always the first to be snatched by squirrels. 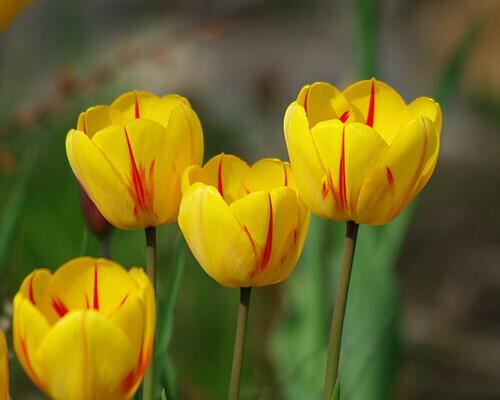 Tulips are so ephemeral and so lovely. Great lighting on these. Somewhere I read that you can plant the bulbs in pots to save them from mice. I love tulips. So many colours. Did you ever read The Black Tulip by Alexander Dumas? I really enjoyed your tulips mine are up and I suspect we have some of the same varieties I also have a yellow one with a bit of red. Great photos. I really must try growing tulips again. I have no idea what I was doing wrong years ago when I first tried, but you'd think I was putting rocks in the ground. tulips! I love tulips. ours didn't come up this year, because the gardener raked the leaves. I scolded him. and told him the reason. Dale him a month or so later, but,the guy didn't come back.